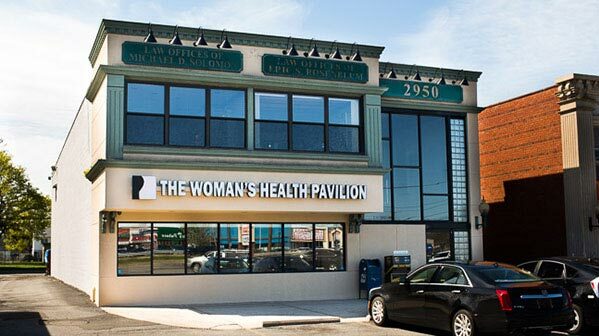 The Woman’s Health Pavilion’s Levittown office offers a complete range of OB-GYN services for Nassau County women from Bellmore, Bethpage, East Meadow, Wantagh, and surrounding areas. We make it convenient to receive high quality care with extended hours, an onsite lab, pathologist, and high-resolution 4-D ultrasound equipment. To meet with a Long Island gynecologist or other experienced practitioner in Levittown, request an appointment using our online form or by calling (516) 731-9000. We offer same-day appointments for urgent conditions and convenient evening and Saturday appointments. Our Levittown location is less than 3 miles from East Meadow at 2950 Hempstead Turnpike, 1/4 mile east of the Wantagh Parkway, between Dunkin Donuts and CVS. Our caring team of doctors, nurse practitioners, physician assistants, and midwives is ready to help you feel your best whether you have an urgent condition, need an annual check-up, are expecting a baby, or have another concern about your health. About ¼ mile east of the Wantagh State Parkway, you will see the Levittown Veterans Memorial Park on the right. Just after passing the arch, bear right to enter the service lane of Hempstead Turnpike. Our office is located on the right near the end of the shopping plaza, just after Dunkin Donuts.